The Niger Delta Development Commission, NDDC, has re-stated its commitment to support quality education by executing more development projects in the universities and polytechnics in the Niger Delta region. 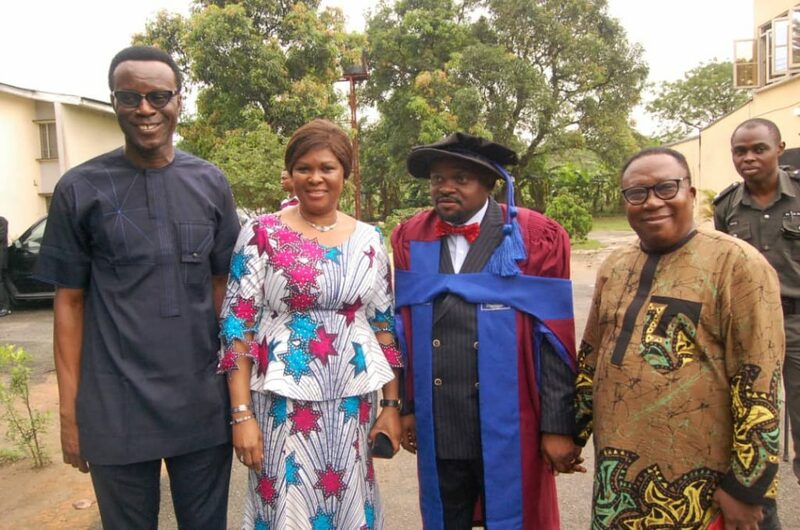 The NDDC Acting Executive Director Finance and Administration of Dr. Chris Amadi, reaffirmed the Commission’s resolve during the 32nd Convocation Ceremony for the 2016/2017 and 2018/2019 academic sessions of the University of Port Harcourt, UNIPORT. At the ceremony, he received the Doctor of Philosophy degree, Ph.D in Trade and Development Finance alongside another NDDC Director, Dr Ibitoye Abosede, who received the Doctor of Philosophy degree, Ph.D in Communication Studies. Dr Amadi said that NDDC had sustained a healthy partnership with the universities across the Niger Delta region including the UNIPORT, which had benefited in so many ways. He recalled that last year, the NDDC, endowed a professorial chair in malaria research for the Centre for Malaria Research and Phytomedicine, CMRAP, at the UNIPORT for the sum of N25 million per annum. He said that the Commission had executed several projects in universities and polytechnics in the NDDC mandate states. According to him, “several roads were completed within the universities for the benefit of both staff and students. We have also built ultra-modern 522 bed-space hostels in several universities in the region. Amadi said that the NDDC considered the university as a very critical partner in the development of human capacity, noting that education was the bedrock of development. He noted that his new academic laurel would add value to his work in the NDDC in managing the finances of the interventionist agency. In his address at the convocation, President Muhammadu Buhari called on the private sector to invest in research and development in the nation’s universities. The President, who was represented by the Minister of State for Education, Prof. Anthony Onwuka, said that tertiary education in the country had undergone progressive transformation in the last four years. Also speaking, the Vice-Chancellor of the university, Prof. Ndowa Lale, said that UNIPORT had witnessed immense infrastructural and academic development since he assumed office in 2015. Lale said that several programmes had been introduced with the focus of making UNIPORT a world class university in academics, research and development. He said: “To this end, our colleagues in the Department of Obstetrics and Gynaecology at UNIPORT Teaching Hospital recently celebrated the delivery of their first baby through In Vitro Fertilisation method.